October 26, 2017 at 1:38p.m. YOUNGSTOWN — Youngstown State University and the YSU foundation will launch the public phase of a $100 million “We See Tomorrow” fundraising campaign at 6 p.m. today in Stambaugh Auditorium. 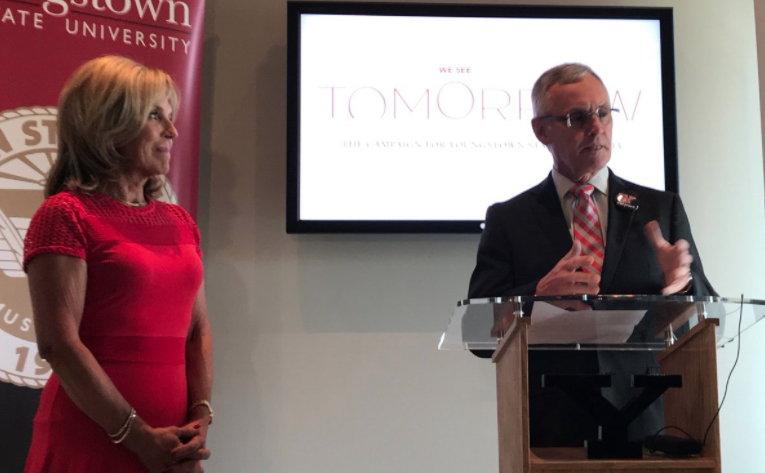 University President Jim Tressel and Jocelyn Kollay Linsalata, YSU foundation chairwoman, announces the campaign is the largest in YSU’s 109-year history. The Foundation has already raised $51.7 million, it was announced today. June 28, 2008 12:04 a.m.
November 13, 2017 11:37 a.m.
November 30, 2017 4:35 p.m.
December 19, 2008 12:09 a.m.